Last week I started a brief review of the book “The Ten Roads to Riches.” Today is part two of the review. I will go over the last ideas that the author goes over. The sixth road to riches is to steal it legally. A lot of businesses do this all the time. They steal or use ideas that other companies have, and they make money off of them. There are hundreds of examples of this happening through the years. I want to go over a recent example. Instagram is a picture sharing app. A few months ago, they added a feature called Instagram stories. That feature is very similar to an app called Snapchat. With Snapchat, people take pictures and stories that you can see for up to 24 hours. The Instagram story feature is the exact same thing. IG took Snapchats’s idea and ran with it. This is another tip that makes a lot of sense but isn’t the easiest thing to do. People aren’t just going to give you their money. If that were the case, we’d all be rich or wealthy right now. Starting a business or getting into real estate are two ways that you can capitalize on other people’s money. With real estate, you can rent, lease or sell the property that you have. Having an endless revenue stream is another thing that can bring wealth. If you can create something that people love, you can make money off it forever. For example, if you write a best-selling book, you could get royalties from it. That is just one example. There are so many things that you can do to generate that endless revenue. Getting something patented or licensed can make you, even more money. The last road to wealth is the safest road. Save hard and invest well. There is nothing wrong with going the safe route, but it could take decades for you to get wealthy this way. If you want your wealth sooner, combine this one with some of the other ideas that the author discussed. 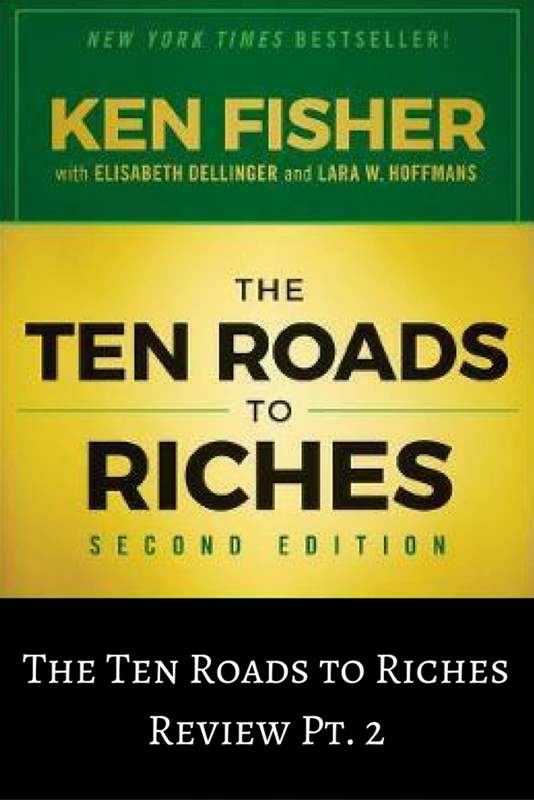 The ten roads to riches is a great read. I believe that everyone should read this book when they get a chance. You should figure out which “road” works for you and get to work.